In the world of real estate, you often get what you pay for. 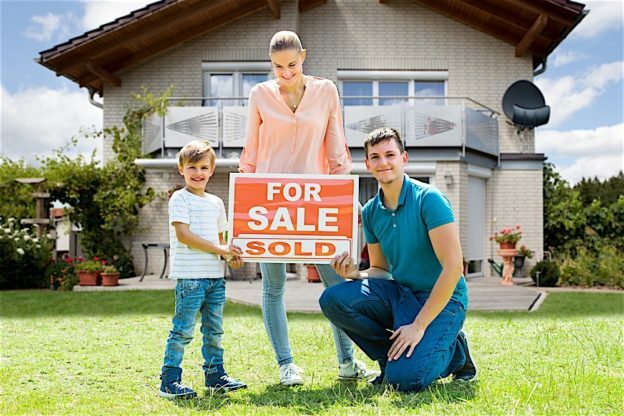 As tempting as it may be to save some money and sell a property on your own you are typically better off leaving it in the hands of a professional. However, there are certain times when the projected profit is so small that you have no choice but to sell without a real estate agent. While this situation may not be ideal you still must make the best of it. Selling on your own can be frustrating and trying at times but if you take the right steps you will get your property sold. Here five tips if you need to sell your property on your own. Create A Website. If you are selling your property you want to give prospective buyers as much information as possible. Instead of having your home on the MLS for the market to see you need to create a dedicated website. It is easier, and more affordable, than ever to publish a website exclusively about the property you are selling. The website can simply be named for the address of the property and provide pictures, descriptions or even a video tour. Not only does the website give buyers information on the property it should also answer any questions they have regarding size, room count and tax information. This will help save you time and help avoid fielding countless phone calls about the property. You can have a dedicated number set up with an automated voicemail directing people to your website. Whatever time you spend or money is costs, setting up the website for a property you are selling is an absolute must. Social Media. There are many advantages of using a real estate agent. In addition to knowledge of the market and pricing the home right they also have a strong marketing arm. With nothing else but the MLS they will reach hundreds of real estate agents with one click of a button. When you are selling on your own you need to think of ways to get your property out there and generate interest. The most popular way of doing that today is through social media. Marketing on social media should be more than just putting a few blurbs about the property. Here is where the website you created will come in handy. Everything you do on social media should funnel the reader back to your website. You should start by posting on every social media forum you are on. Don’t be shy in asking your contacts if they would share the link and pass your information on to anyone they know that may be interested. You can also create a dedicated page on Facebook that you can post any announcements or information about the property on. It is also important that you post something every day. You never know when you are going to catch someone at just the right time. One post every now and then will not generate the interest you desire. Marketing. In a perfect world, someone will see your post on social media and immediately want to make an offer. While this is a possibility you shouldn’t hold your breath. As great as social media can be it is just one of the many marketing platforms you should be using. Bandit signs can be a great way to drum up local interest in the property. Start by placing a few bandit signs on the subject property, at the top of the street and on any intersections leading into the property. Depending on the towns rules you may also be able to place your signs all over the town. You should also post the property on as many real estate websites as you can find. There are a handful of go to sites that prospective buyers and renters use to find real estate. Many of these sites are free and you can use the same pictures and descriptions for all of them. You should have a list of four or five different ways of marketing your property before you decide to list on your own. Focus On Presentation. You never know when the next showing will generate an offer. It is important that you treat every showing like it will be the last one you have. This means that the presentation must be perfect every time. Little things like lighting, temperature and smell can impact a buyer’s perception of the property. You should also check on the curb appeal and see if the exterior needs to be improved between showings. Once the buyer is in the property you need to put on your salesperson hat and sell the property without overselling. Be ready to answer any questions they may have and never take any comments personally. You will most likely have many showings before you finally find the right buyer. Don’t let the process get you down. Use An Attorney. Your purchase is too important not to use an attorney. Not using a real estate agent may save you a few dollars and help salvage some profitability. Not using an attorney can have significant legal consequences in the short and long term. Even if you think you know the contract all it takes is one oversight to put you behind the eight ball. For a few hundred dollars, your attorney will look at the offer line by line and make sure you know exactly what you are getting into. The legal arena is much different than real estate and if you don’t know what you are doing can get you in trouble. Selling your own property is not recommended but if you must do it you might as well do it with everything you have or contact us for a free no obligation offer.